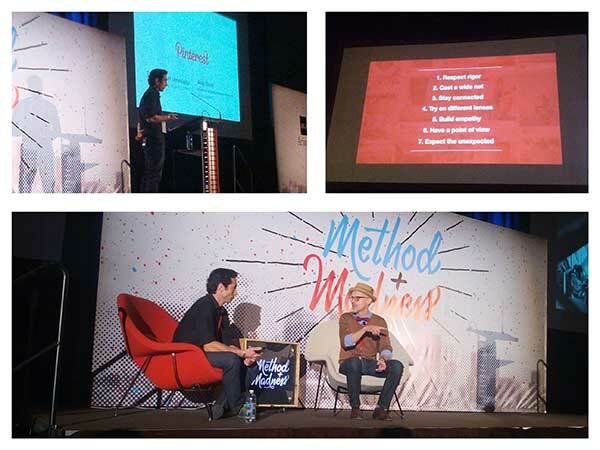 Method + Madness. A recanting from two unforgettable days. Rattlesnakes and cactuses. This was my perception of Arizona just two short weeks ago. I mean, what else would there be to look forward to in a land-locked state comprised mainly of desert? I had never spent time in the state, sure, but I had driven through it on a number of occasions and I’ve got to say, if spending an entire day driving through a desert-terrain state doesn’t cure you of this perception, then nothing will. Then came the call (metaphorically speaking – it was actually a very nice email). 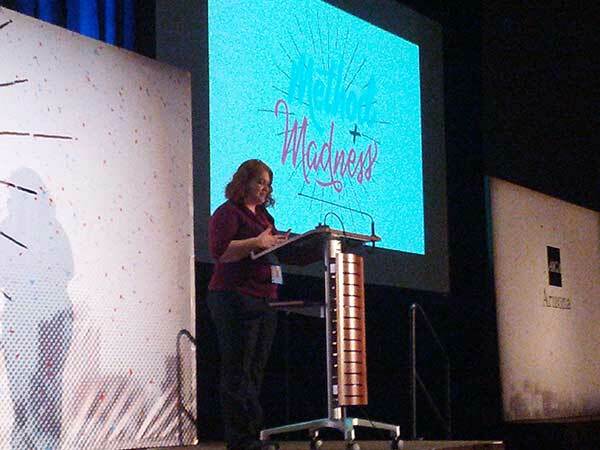 It was the President of our sister AIGA chapter in Arizona, Niki Blaker, generously extending an invitation to their dazzling design conference, Method + Madness. We accepted. I was chosen to go. And so it was. It’s not every day that you get a full taste of not only the culture, but also the artistic spirit of an entire state, and much less often when you get to drink it all in in just two short days. But that’s the story behind my experience at the organized assembly of local and national talent. In two days, I got a real inside look at all of the wonderful and exciting things that Arizona has to offer. To say that I was dazzled would be a gross understatement. In just two short days, my narrow paradigm of rattlesnakes and cactuses was flipped upside down, and was very palpably enriched by the sheer immensity of the creative community and culture that the state so harmoniously hides. The intended mission behind the Method + Madness conference, as articulated by so many of the speakers of the event, was to prove that Arizona can hold its own amongst the larger creative community of the country, and really showcase the talent living in the state—a touch of madness, flavored by the method behind it. In short, they are out to prove that Arizona is as cool as they believe it to be. And so it was that in just 48 hours, the city set its sights on proving it. I’ll be honest, I did not know what to expect. A beautiful thing happens when you come in with a perspective as narrow as I had walking in; it’s almost too easy to be open and receptive to great things. And, being among the scores of attendees soaking in the offerings of the conference, I can definitively say that it delivered no less than greatness. From the local legends defining what the creative landscape in the state is and will be, to the titans of the industry they trucked in (seemingly in droves) to share their wisdom and partake in the offerings the state had to offer as well, I was taken aback at not only the caliber of the work and the knowledge being dropped from the humble stage, but also by how deeply welcomed I felt by the creative community itself. Sidebar: I have to thank all of the wonderful people I met for their hospitality and for taking me around to all the cool local spots, from the Crescent Ballroom to the Angel’s Trumpet to just walking around the city to see the culinary chops. Despite the heat, I loved it all! Being of a digitally-focused persuasion as an art director, I was super impressed with how much of the content was digitally/UX focused. It was clear to me that the content and speakers were carefully tailored to deal with both sides of the proverbial brain. As sure as the event was kicked off by OCD and their near-mad indirect argument about what “The Most Important Thing” is (I’m still undecided whether it’s the logo or the system), to the legendary Jared Spool – who was welcomed as the Keynote Speaker – and his in-depth analysis of different design styles within the realm of interface design, it was a refreshing mix to say the least. In more philosophical terms, it was really amazing to see the diverse nature of all of the speakers, their presentation styles and topics. Truly living up to its moniker, the event was a pendulum-esque series of back-and-forth discussions between the logical and creative thinking that goes into the beautiful profession that is design. To say that I enjoyed myself would not be doing the experience justice. It was both invigorating and stimulating. 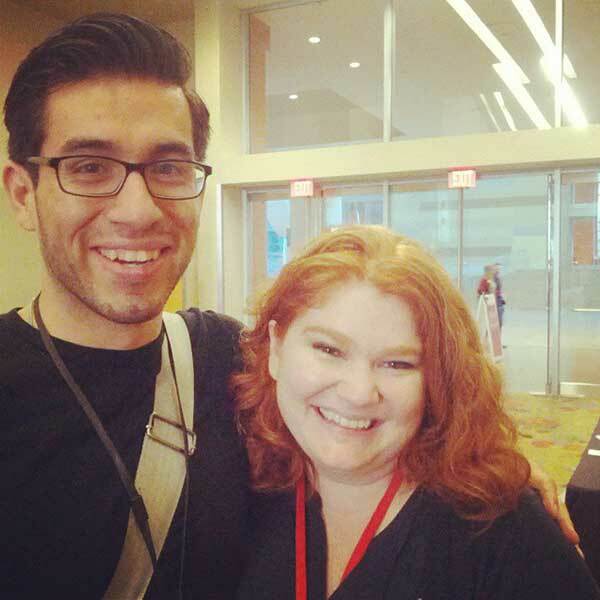 I have this to say about the experience as a whole and somewhat as a message to the Arizona community: To echo President Niki Blaker’s closing remarks to the conference (to a degree), I think the original mission behind the event, while it may have been relevant in the beginning, has been rendered moot at this point. You have nothing left to prove Arizona. If the attendance numbers and/or my word mean anything to you as a state and as a creative community, you really are as cool as you think you are. The only guidance I can hope to offer at this point is to please keep it up. Keep inspiring one another and keep creating and simply keep doing. All people need is to just see. The more you do, the more we’ll see. Rattlesnakes and cactuses… don’t I feel silly! President Niki Blaker addressing the attendees to open the conference. The Original Champions of Design giving their insightful case studies and (indirectly) debating what “The Most Important Thing” is. Is it the logo or the system? 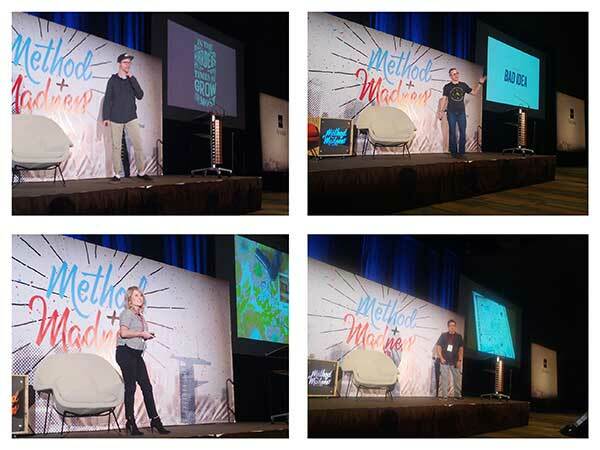 The rapid-fire sessions, in which each speaker was allotted five minutes to present an idea was really fun. It was awesome to see how much someone can say in only five minutes. Scott Biersack, an amazing hand-letterer, explained how he overcame depression and used design to save himself and his learnings along the way. 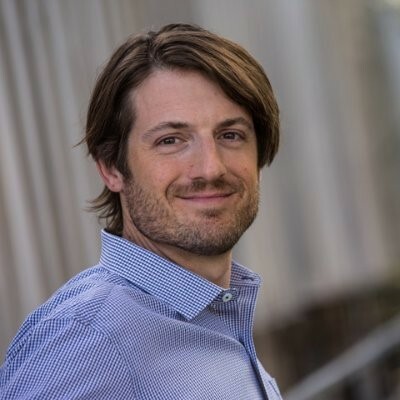 Timothy Brennan reminded us all that even through the crud and harsh reality and unpleasantness of boring work and difficult clients, the awesome never fades, and that’s inside us. Hannah Minker explained why doing free work and collaborating with people you may not necessarily work with otherwise can be even more fulfilling than creating on our own for profit. Josh Higgins, the super humble and down-to-earth creative director on the last Obama campaign and now Communication Design Lead at Facebook, talked over his experiences and how “someone like him” ended up doing all the amazing things he has. The answer? A healthy mix of luck, humility, seizing opportunities and loving the people you work with. Such an inspiring and amazing body of work. 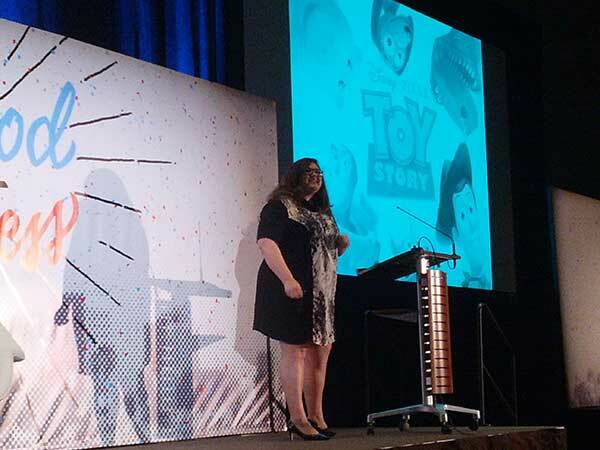 Rebeckah Cancino, Director of Content Strategy at Sitewire, spoke fondly of the joys of openness and collaboration and how to achieve the healthiest and most productive mix of the two for good work. The secret? The 4 Principles of Openness: 1) Being humble helps a lot, 2) Just jump in, 3) Make friends and join forces, and 4) Start with the heart. Justin Ahrens, Creative Director of Rule 29, gave us a lesson in the difference between “looking” and “seeing,” and how to keep ourselves open to the unexpected by keeping our vision in “seeing” and not “looking.” He also gave a very genuine look at the difference between talking about designing for good, and actually just designing for good and how it is the duty of any and every designer to help the world [as personified by the way he conducts business at his own agency]. And as if all of this wasn’t enough, he also gave a heartfelt tribute to paying back those who help us along the way and the ones that encourage when none others will. A truly inspiring talk and figure. 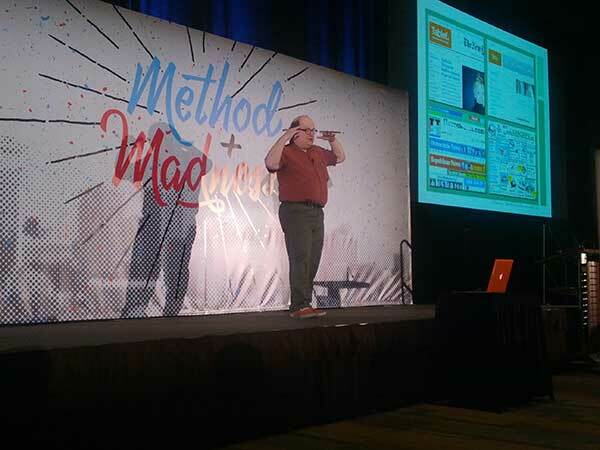 Opening the day was the keynote speaker and token nerd guru Jared Spool (one of the forefathers of UX design, a personal passion point of mine). To summarize this talk would be nearly impossible, as this man drops knowledge like Snoop Lion drops hot objects, but the big idea behind his super insightful talk was that there are different styles of designing interfaces (more process-based), but all styles have their occasion and place. Peter Schaer, Creative Director of local big-deal agency LaneTerraLever, offered up his agency’s learnings and outcomes from, essentially, rebranding the state of Arizona for Visit Arizona’s latest campaign and really bringing in the diversity and artistic beauty of what makes Phoenix and, by extension, the state a wonderful place to visit (as a visitor myself, I identified strongly!). He ended by sharing a beautiful spot produced by the agency for the state—an exact blend of the thinking he walked us through in the long term. 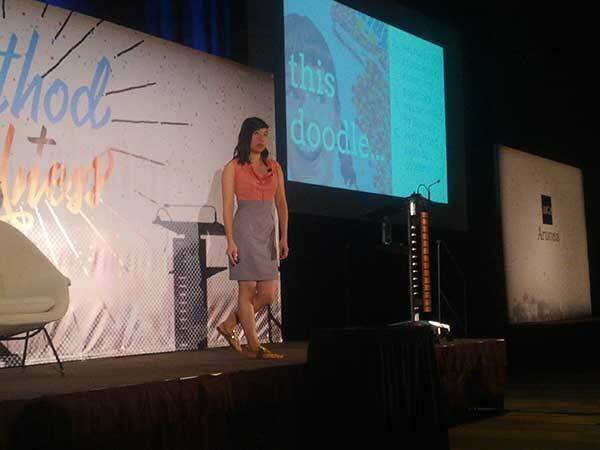 Rounding out the final day was the bubbly, and oh-so-lovely, Jennifer Hom, doodler and illustrator at Google. 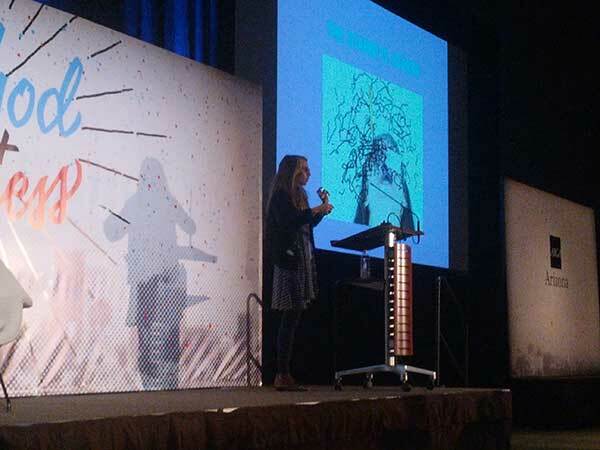 Jennifer gave us insight into the wacky and whimsy world of being a Doodle Illustrator at Google and showing us exactly how much goes into a single doodle. She told us what it means to create for many cultures and in different mediums. 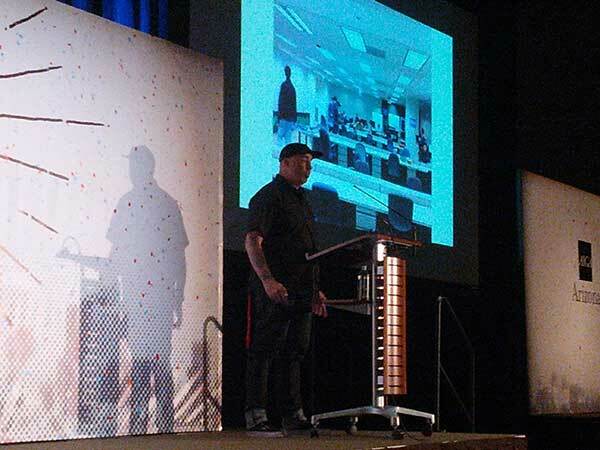 This was probably the most fun talk of the conference. 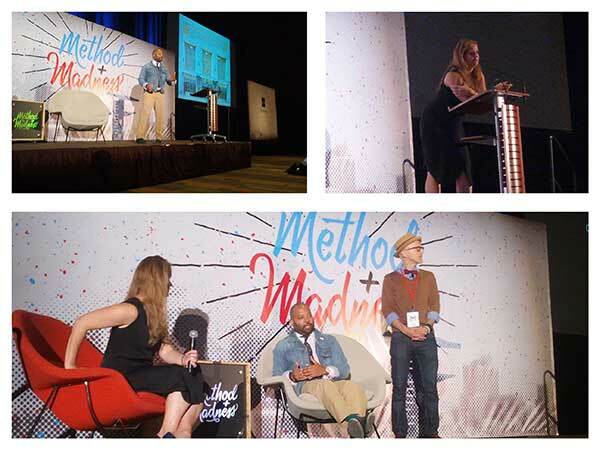 After the main speakers, the audience was then invited to break out into smaller sessions covering a variety of topics, from In-House Design to Advertising Agency Insights and even to covering the hottest new tips and tricks in the latest version of Adobe’s Creative Cloud. The big conclusion? Well, quite honestly, I was simply stunned at not only the amount of work and careful planning that went into the event, but also sheer immensity and monumentality of the ideas and insight being dropped every second from the stage. All in all, I was really just blown away. I learned so much and got to meet (in a very casual setting) some of the most inspiring people I’ve ever met. BUT, I have to say, the real conclusion lies in the number one thing I heard people exclaim when I let on that I was from the great state of Colorado: “I can’t believe Colorado doesn’t have an equivalent event.” A man can only hear it so many times before he starts believing it. 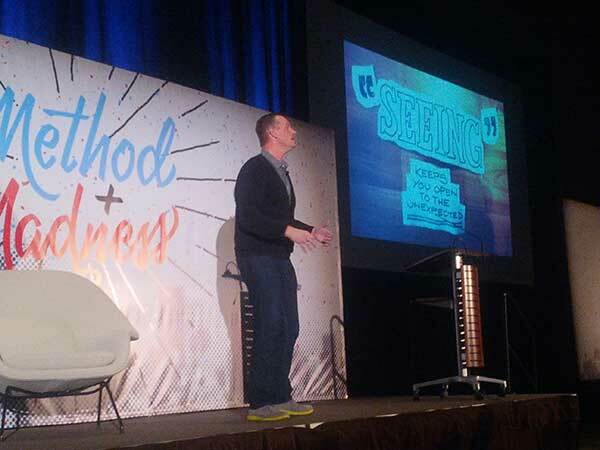 Maybe it’s time that we, Colorado and our amazing creative community, step up to the plate and have our own brush with Method + Madness all our own? I’d say so. Thank you so, so, so, so much to AIGA Arizona for having me out and for being so wonderful and hospitable despite the insanity of the event logistics. Everyone that I was able to meet from the board was so great to me! Me with AIGA Arizona President Niki Blaker. Thank you for everything Niki! !